The full drum sheet music for “Welcome Home (Sanitarium)” by Metallica from the album Master of Puppets (1986). The full drum sheet music for "Hardwired" by Metallica from the album Hardwired...To Self-Destruct (2016). 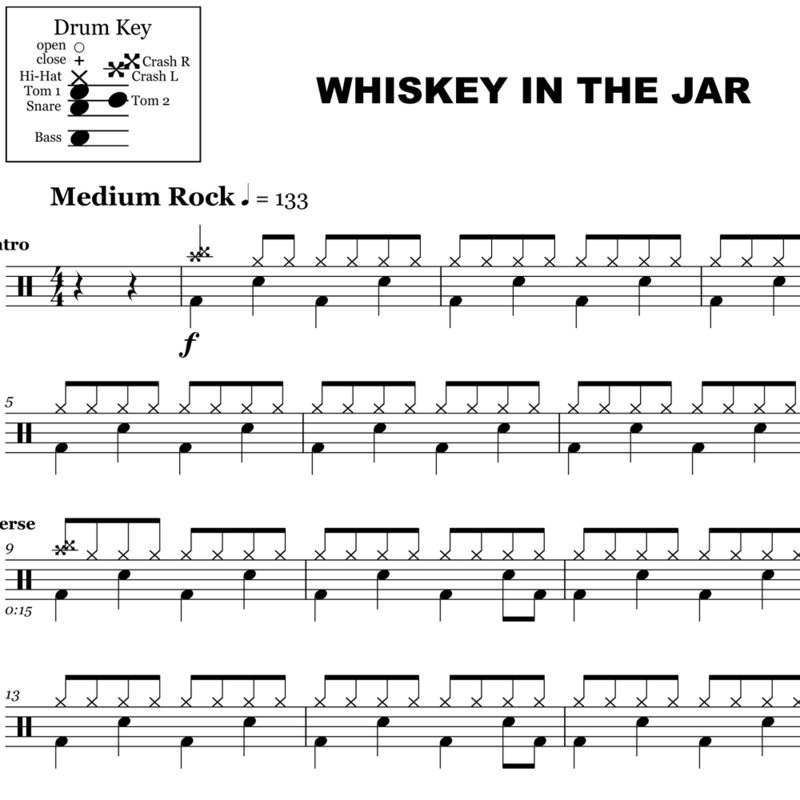 The full drum sheet music for "Whiskey in the Jar" by Metallica from the album Garage Inc. (1998). The full drum sheet music for "Nothing Else Matters" by Metallica from the album Metallica (1991). The full drum sheet music for "For Whom The Bell Tolls" by Metallica from the album Ride The Lightening (1984). 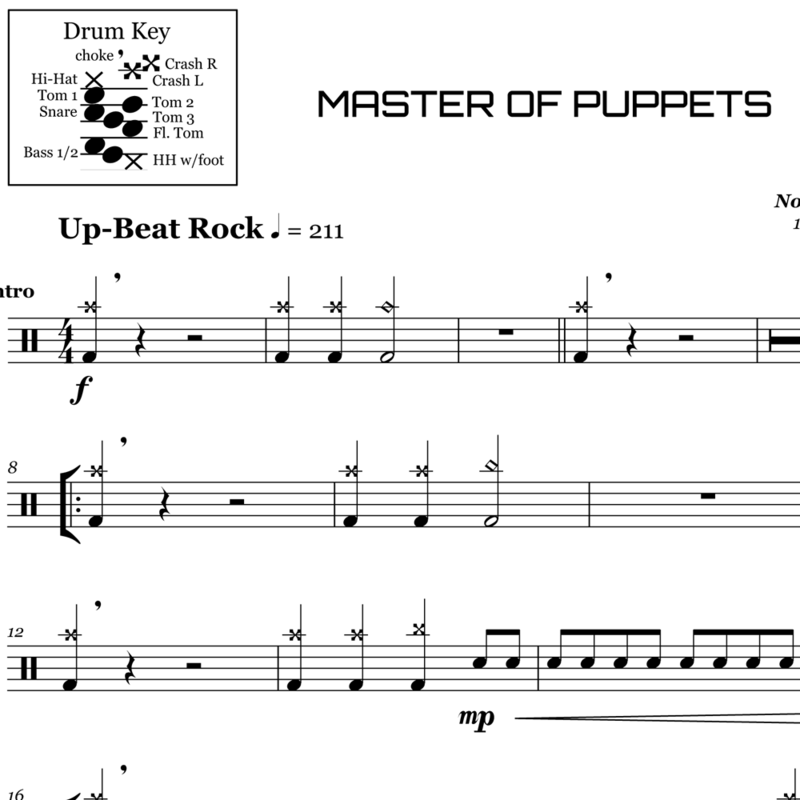 The full drum sheet music for "Master of Puppets" by Metallica from the album Master of Puppets (1986). 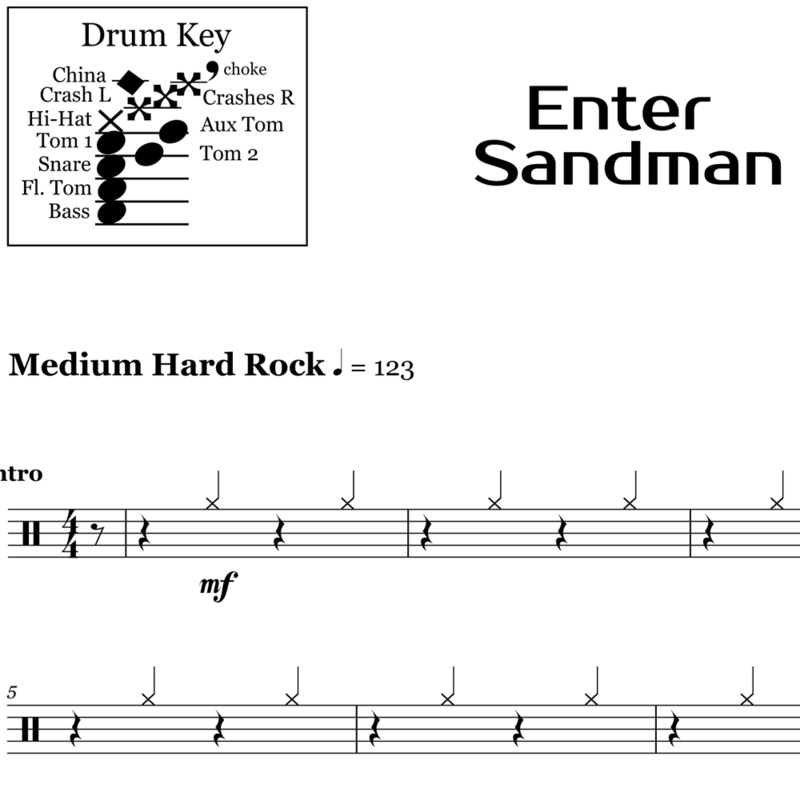 The full drum sheet music for "Enter Sandman" by Metallica from the album Metallica (1991). 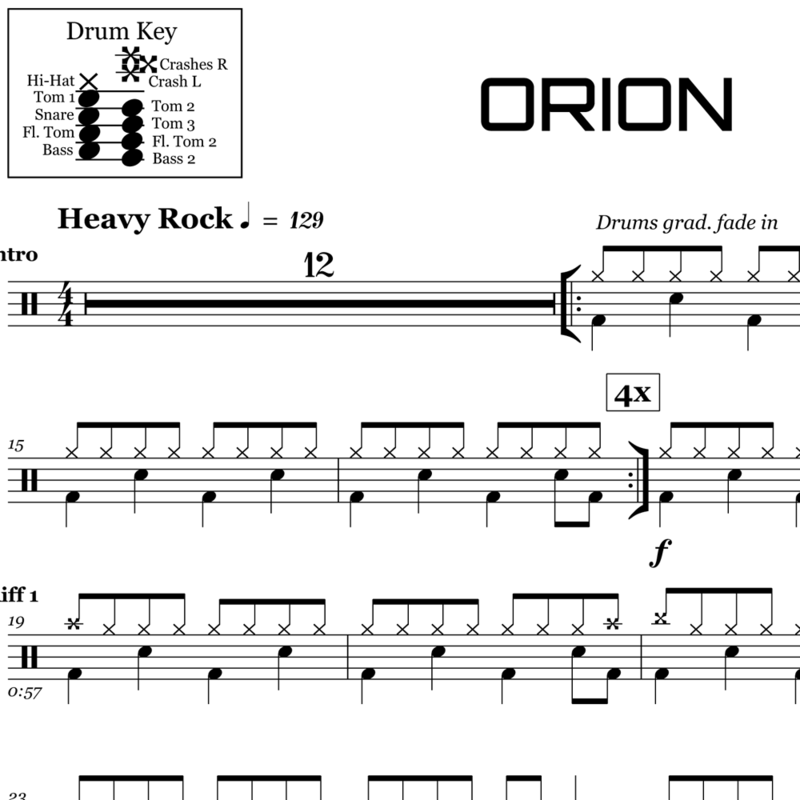 The full drum sheet music for "Orion" by Metallica from the album Master of Puppets (1986). The full drum sheet music for "One" by Metallica from the album ...And Justice for All (1988). 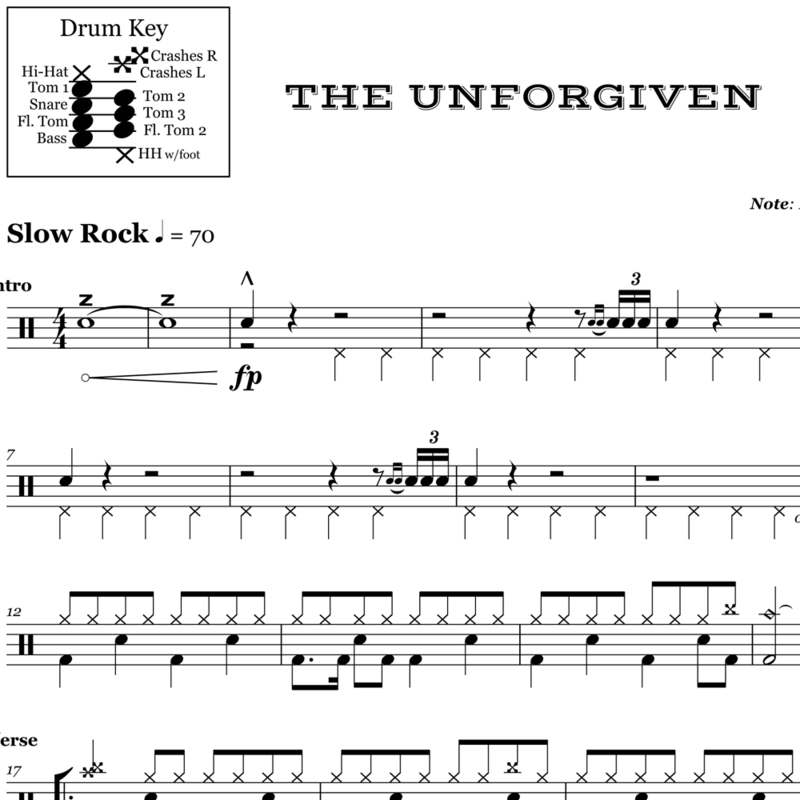 The full drum sheet music for "The Unforgiven" by Metallica from the album Metallica (1991). 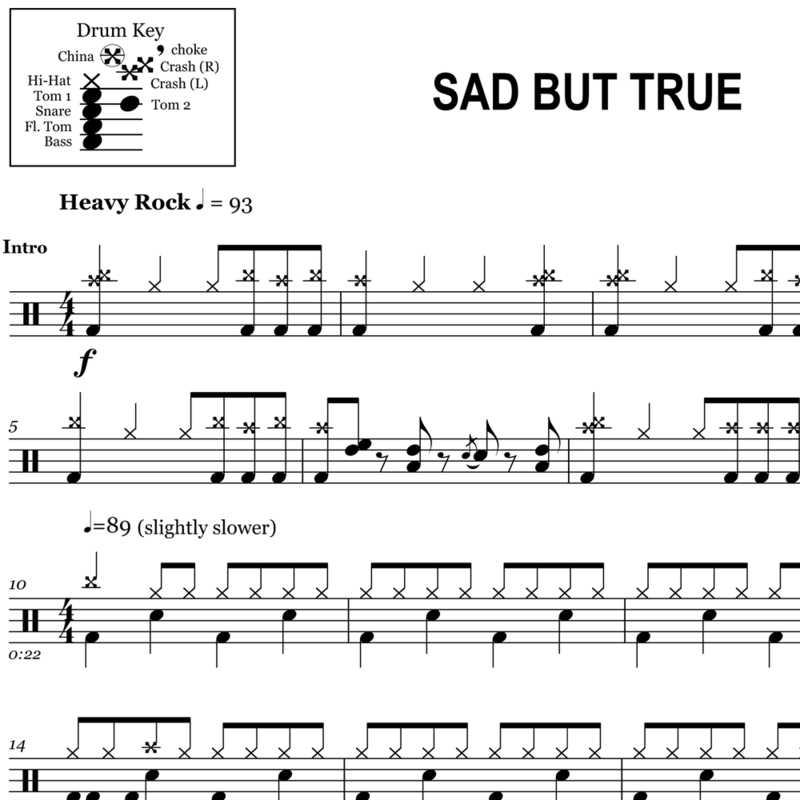 The full drum sheet music for "Sad But True" by Metallica from the album Metallica (1991).